If Hillary Clinton wins the Democratic nomination for president, she'd better not pick a moderate running mate — at least according to her opponent. "If Hillary Clinton were to bring on board a conservative or moderate-type Democrat, I think politically, that would be a disaster," Democratic presidential candidate Bernie Sanders said. 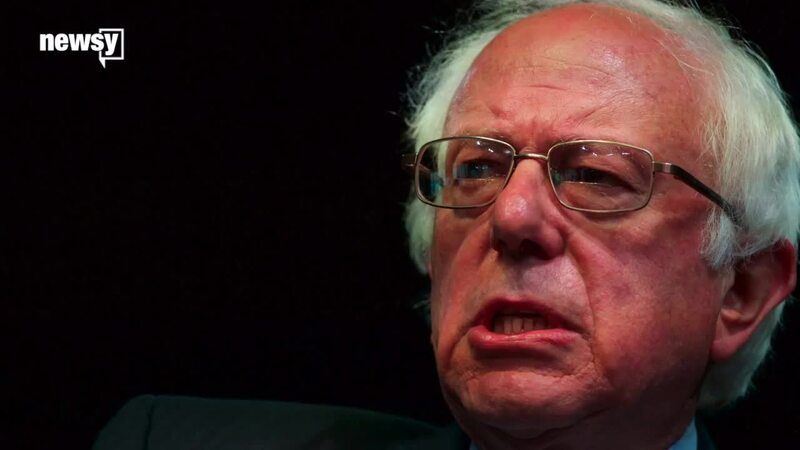 Vermont Sen. Bernie Sanders told The Young Turks news show Friday that Clinton would need to choose a running mate who isn't from Wall Street and has a "track record of standing up for working families" if she wins the nomination. "I will be the nominee for my party, Chris. That is already done, in effect. There is no way I won't be," Clinton told CNN last week. Clinton is leading Sanders in the popular vote and in pledged delegates and superdelegates, which means Clinton will likely win the Democratic nomination. Even so, Sanders has vowed to stay in the race through the national convention in July. He told Jimmy Kimmel on Thursday that his recent wins and favorable results in recent polls against Donald Trump are just some of the reasons he's staying in the race. "There were 400 superdelegates who announced their support for Secretary Clinton before anyone else was in the race, before the first ballot was cast, and I think that's just patently absurd and undemocratic," Sanders said. Even if Clinton becomes the Democratic nominee, she's got her work cut out for her, especially in wooing Sanders' supporters. A recent NBC News / Wall Street Journal poll found only 66 percent of Sanders supporters would support Clinton in a race against Trump.